Come see this lovingly maintained home in popular Willowbrook! 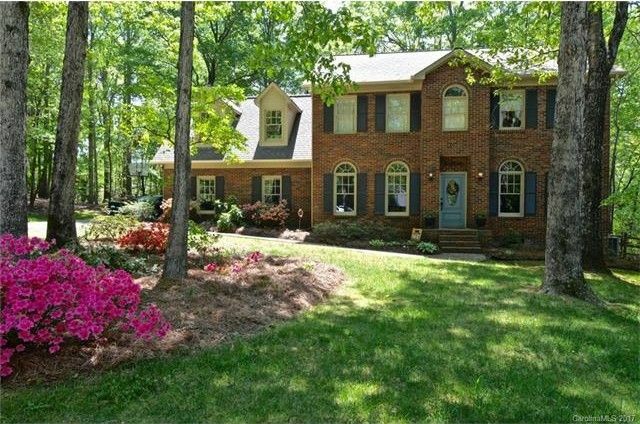 Full brick 2-story on one of the largest lots. Dual staircases, formals, hardwoods throughout main floor and upstairs hall, new carpet upstairs. The kitchen showcases granite, tiled back splash and s/s appliances. The beautiful screened porch and deck off the great room provide entertainment opportunities. Updated master bath, fenced yard, storage building, water heater (2016). 2-10 Home Warranty in place for your peace of mind. Directions: 485 to Lawyers Rd exit, Lawyers Rd into Union Co. R on Stevens Mill, R on Willowbrook Dr, R on Bent Oak, house in cul-de-sac on L. See sign.